We already know, since mid Febuary, that Poli Genova will represente Bulgaria in Sweden this year. But until today we didn’t know nothing about the song. 2 hours ago, the Bulgarian broadcast ΒΝΤ announced through twitter that the song will premiere on the 21st of March. The song’s title is If Love Is A Crime and we will listen English and Bulgarian language in the song. Composers and producers of the song are Borislav Milanov, Sebastian Armann and Joachim Bo Persson. 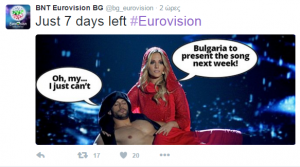 Bulgaria’s entry will be the last entry to be announced this year. This year we have a double come back in Bulgaria. The country will return after a 2-year break and Poli will fly the Bulgarian flag for the second time after 2011. 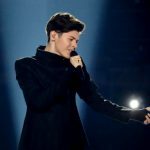 Bulgaria: Through internal selection again its Eurovision 2018 entry. « Azerbaijan: A Miracle for the land of fire…..